Reposting all of the blog posts written five years ago for ASCD's EDge social network in memory of all who lost their lives at Sandy Hook. The EDge links no longer work, but all of the blogs are below. Bless the families of all. We will never forget. Charlotte Bacon is a name I will never forget. Only two months before I first heard her name I gave birth to our own Charlotte. I had no idea of the deep connection I would soon be making. The morning of December 14, 2012, I took our Charlotte to my workplace to meet my colleagues. When I was on the way home my husband called me to tell me about the tragedy at Sandy Hook. I couldn’t believe what he was saying; I didn’t want to believe it. Here I was introducing my precious, innocent Charlotte to my world of work and someone else’s precious, innocent, Charlotte was taken from their world...our world. My heart was so heavy because I was still able to pick my Charlotte up and hug and kiss her but Joel, JoAnn, and Guy Bacon couldn’t do that anymore. It crushed me to think that they, as well as the other families, were going through something so horrible. My heart is still heavy when I think about it. But I want them to know that they are not alone and that there is still good in the world. There is always hope. When I was five years old my sister Mary, just two years older than me, died suddenly. My entire life exploded in front of me and I didn’t understand anything that was happening. My parents didn’t understand. I only knew that one day I had my sister and best friend and the next she was gone. That one moment has affected every moment since but I’ve only recently come to realize that. It was a horrendous time in my life; one that I cannot change. My tragedy was a powerful teacher about the ways of the world, even at five years old. Even then, I knew that Mary’s life had purpose, though she was only here for seven years. Likewise, Charlotte Bacon’s life had purpose. She was a loving daughter and loving sister. She loved animals, especially lambs, and had dreams of being a veterinarian. She loved the color pink. I didn’t personally know Charlotte but I know she was important. She is important. I know she was loved. I know she is loved. I am empowered by the things I’ve been taught, whether the lesson was taught by a loving teacher or by the ebbs and flows of life. I live and I learn. I learn to appreciate the actions of others, such aCharlotte Bacon’s parents, who continue to be voices for their child. I learn to invite moments of remembrance for those that have gone before in little everyday things: the kindness of others, shooting stars, smiles, normalcy. I learn to move on, not by forgetting the past but by embracing it. I learn to continue loving harder and deeper because I now have the capacity to do so. I learn to live better in spite of what life throws at me. On this day, I choose to celebrate Charlotte Bacon. From now on, December 14th will be a remembrance day for me--for remembering all of these wonderful Sandy Hook heroes and their families, and in particular Charlotte. I’ll think of her when I hug my Charlotte, when I see a little lamb, when we visit the veterinarian, when I notice the color pink. All things Charlotte Bacon would love. I have been spending time this past week reading through the blog posts on Daniel's Facebook Page: What Would Daniel Do? He is loved by his family and missed every day in every way. Each post shares an insight into this precious child who expressed his love and compassion for others at such a young age. And that is how seven year old Daniel Barden lived his life: noticing someone alone and passing up something desirable to give his companionship and comfort. My tribute to Daniel will be to do just what he and his family desires: to make a special effort to love those around me who I know as well as those who are strangers. Giving a hug. A listening ear. A meal. Time. May you find it in your heart to do the same … For Daniel. A million times we`ve wanted you. But you didn`t go alone. Guest post by a fellow colleague Linda Daniel, who teaches Foreign Language at Starpoint Middle School in Lockport, New York. One year ago today our hearts were filled with darkness and unanswerable questions. Humanity at its worst had confronted humanity at its best. At first glance it appeared that evil clearly won. As the layers of a horrendous act were peeled away, we found light, beauty and hope in the lives of those who were unimaginably taken away from the people that loved them, needed them and wanted them. This light, beauty and hope shined down on a world in mourning. We were blessed to get a glimpse of the beautiful souls taken away from us. As I learned about Miss Rachel Marie D’Avino all I could think about was how brave and strong she was in those last moments. Day after day I wondered, how did Rachel have the strength to keep calm, stand her ground and be the rock her students needed? She was able to do all of these things because of who she was, a smart, determined, hardworking and compassionate lady. Rachel continues to teach and inspire me. I would like to encourage all the readers, especially teachers, to embrace Rachel’s legacy. It is never too late for anything! It’s never too late to start smiling, to start a new sport, to become involved in a charity, to go back to school, to have compassion with those suffering from a mental illness, or to start being the teacher your students need you to be. We can learn how to be our best by following Rachel’s example. When a day goes bad, as they sometimes do don’t hesitate to fix the problem. Listen to your inner-voice to make a change. On this Newton Remembrance day, I vow to allow Rachel to shine through me. I will smile to those who never smile back at me. I will make a student laugh. I will make a charitable donation. I will donate my time and talents I will exercise my mind, my body and my spirit. I will force myself to be a hard worker the entire day. I invite all of you to do the same. Rachel, you shared gifts with the world that were priceless. Those gifts will never stop giving. Your inspiration will never stop inspiring. Your smile lives on day after day and memory after memory in those that knew and loved you. As they enter new chapters of their lives your spirit is there, as well. I feel you shining down and blessing us with a positive light and ray of hope that tomorrow will be brighter for everyone. Thank you for inspiring us. Thank you for your selfish sacrifices. Thank you for being you. You will never be forgotten. My birthday is December 10 and my best friend's is December 11, the same as yours. I can't imagine not having her here to celebrate my birthday with and I know your family is probably looking at your 8th birthday without you with sadness and longing to have you here. It says so much that your family nicknamed you Joey from your more formal name of Josephine--my Dad did the same for me as a toddler--from Pauline to Paula. I love the nickname Joey--I wish I had known you personally. However, your pictures say a lot about you. I am so incredibly sorry your life was cut short. I also know you are in a loving, giving, wonderful home now where you are being taken care of with care and grace. Your family's sorrow may last a long time, but their love--and yours for them--will last forever. Love transcends all. But I also make sure that worry does not permeate our lives--because I want to see the smiles on their faces like the one on yours in your pictures. I want them to be enthusiastic about life and all it has to offer, as you were. I want them to play and be silly and enjoy the laughter and love of those around them as you did. You see, you--and your friends--and your family and other families of Sandy Hook inspire those of us who are left. The pain, fear and incredible sadness you all had to endure was way more than any one should have to overcome, especially at such a young age. Your legacy is to leave the rest of us with determination to be like the Sandy Hook community--to be brave, stoic, and strong in the face of adversity. Your legacy is inspiration to make each moment count and live, love and laugh to the fullest of each moment we have. Your legacy is a promise of strength, connecting and sharing to survive together. It’s been a year. A year of suffering and pain, of inspiration and hope, of determination and resiliency. Our newest day of infamy has become an opportunity to celebrate heroism, to celebrate incredible courage, to celebrate the lights that shine as long as we keep them lit. This time last year, I did not know Ana Marquez-Greene. On the morning of December 14th, 2012, that changed. I was on the phone with a colleague as the events in Newtown unfolded. We watched Twitter and Facebook reports that preceded the news. We watched as the news confirmed our most horrific fears. I went home that night and hugged my own children tightly, heartbroken for the families that did not have that opportunity. Days after the events in Newtown, I discovered the Facebook page that Ana’s parents had set up for her. I felt compelled to follow it and let it be the one way, in that moment, that I could give back. By listening. By participating. By seeing this precious child and the happiness that she brought the world. By letting her life inspire my own. Over the last year, I’ve seen so much shared by Ana’s parents and have come to love the light that she is. She was a dancer and singer, she loved second hugs and second breakfasts, she was smart and beautiful and loved by all. She has no idea how much her story, her personal story, has inspired me this past year. Her parents have no idea how inspirational they’ve been to countless people around the world who look to them with both awe and the deepest of sympathies. I remember Ana in my daily prayers. I think of her when I work with teachers. I wonder constantly about how she continues to contribute to the world. Because she does. Ana Marquez-Greene makes me brave. She makes my children brave. Her memory is a legacy of opportunities to be brave and awesome and capable and worthy. As long as I live I will celebrate her light. I will celebrate all of their lights. These children and these teachers deserve to lifted up and carried on and remembered for millennia. To smile when you work. To dance when you can. To sing out loud just because. To grab a second hug. To have a second breakfast. To be inspired by a child. Ana Marquez-Greene, darlin’, you live on in the hearts and minds of everyone who knew you and everyone who has gotten to know you thanks to your wonderful parents. Please know that you are inspiring educators everywhere. Know that you are being held in the warmth of memories both real and virtual and that people around the world are thinking about you. In honor of this day, and as a result of reading this entire blog post, I encourage you to do something nice in the name of Ana. A random act of kindness. A cup of coffee for the person in line behind you. A blanket for the man on the street. An extra tip for your waitress. A surprise for your child. A “No Homework” pass for your students. A smile to everyone you meet. We will never forget you, Ana. We will never forget you all. We will never forget Sandy Hook. I love your name. I nearly called my son Dylan. I’m thinking of you. It’s amazing how many people are thinking of you today, wishing they had known you longer, wishing they had known you, and also wishing they’d never heard of you, because that would mean nothing horrible had happened to you. I have seen your sweet, sweet face on a Facebook page. You look like every teacher’s dream and every parent’s dream. Your family and friends are extraordinary, strong, and kind people. You are an amazing little man, Dylan. You have always been loved and always will be loved. And missed. Lots of people have come together and helped each other to keep going. You continue to make beautiful things happen here on earth. I can still remember the evening of December 13, 2012. I was reading articles on my iPad, including the Harvard Business Review Blog. Although I didn’t know it at the time, Dawn Hochsprung was doing the same thing a few states away. In fact, she even tweeted an article about leadership and beating stress that night. The next day, we both went to our respective schools to help teachers and kids. On that day, Dawn proved to be the ultimate leader, putting her students ahead of herself. Dawn’s story and Dawn’s courage during the tragedy at Sandy Hook have continued to inspire me over the course of the year. Dawn gave everything she had that day, but Dawn was the kind of person who gave everything she had every day. Dawn was a connected educator. She read Connected Principals, followed ASCD on Twitter, and shared amazing pictures of her students learning on social media. She never stopped learning or reading or caring. You were born on July 10, 2006. I was born on July 10, 1972. I remember the day you were born even though I never knew you. It was the day I told my grandmother and favorite cousin that I was pregnant with my first baby. It was an exciting day. I was sharing the news of life and you were being born. I know your Mom and Dad were so happy. I was happy too. It is a day of joy...even still. When someone enters the world it is an exciting time. Life is filled with potential, possibilities, dreams, hopes, love, etc. That’s what your life means to me. Your life means the world to me. Your life means potential, possibilities, dreams, hopes, love, etc. Even when the world is filled with horrendous things, like what happened to you...we have to remember Pandora’s Box. Even with all of the ills of the world there remains one thing...HOPE. It’s what gets me out of bed in the morning. It’s what gets your parents out of bed too, I’m sure. Your life has meaning. You were taken away from us too quickly and I’m sure if your parents had just one more minute with you they would hold you and kiss you and tell you they love you because you mean the world to them. You always have and always will. When I think about you, I think about life...mine, yours, and everyone one else before and after us. Everyone is a person no matter how small and you have given us the biggest thing you could have given us in your short life...HOPE. Hope for a better today and hope for a better tomorrow. You will never be forgotten. You are loved. During those moments, often between wakefulness and falling asleep, when we have some of our most freeform and random thoughts, I have sometimes wondered what it would be like to have a birthday on a holiday. Would both be celebrated on the same day? Would the birthday be influenced by the holiday? If I were a young child, would I be happy or saddened by this? Some holidays, in particular, would be extremely interesting to share a birthday with. Like Thanksgiving, or even more so, Halloween. If I was eight years old again, what sheer joy I would have to be trick or treating on my birthday! These musings were simply that, until I acquainted myself with Chase Kowalski. Chase turned eight this past October 31st, but he wasn’t able to celebrate on Halloween. Nor was his family. In fact, for them, and all who knew Chase, Halloween won’t be seen again as a day filled with mischief, magnificence, and wonder. Instead, it will be a poignant reminder of what isn’t anymore, and unfortunately, what has now become. Chase Kowalski was one of twenty-six learners killed at Sandy Hook Elementary a year ago, twenty-six learners who even with their varied roles and live experiences believed that schools were not only meant to be places of learning, but places of safety. Clearly there is much work to be done. When a person’s life is taken early, we say it is before his or her time. That comment is often made in an attempt to show sympathy and ease the pain of those who knew that person well. Yet that thought, as sincere as it may be, is an understatement for the twenty first-graders who perished at the hands of one person whose motives still are not clear. I never had the pleasure of knowing Chase. What I know of him I have learned from various websites, a Facebook memorial page, and the commonalities that all parents of young children, regardless of background, share. I’ve learned that Chase loved the outdoors, was an avid bike rider, builder and tinkerer, and had recently completed his first triathlon (what a feat for a first grader!). As a parent, I know that he was a child who was loved deeply, who loved to be with family and friends, and who loved learning. Even without personally knowing him, of these I have no doubt. A person’s life is like a house. As we age, we get to enter more rooms, and decorate them in whatever fashion we please. Sometimes the furnishings are chosen by us. At other points, we have no say. Yet, by the time we’re old, we’ve explored the house in full, and for better or worse, have come to accept it, faults and all. But for the very young, who are just starting to explore the first floor, and can’t even imagine what else there is to see, there is so much to learn. This speaks to the enormous tragedy brought upon Chase and his peers. Their homes will never be fully explored and will never be fully furnished. And that’s not fair. As a society, we must make sure that we do everything in our power to prevent schools from being places of violence. As educators we must do what we do best: teach and learn with others to make sure that our buildings and districts are safe. As members of PLCs and connected leaders and learners we must share what we’ve learned with the world at large and stakeholders in our communities. And as individuals, we must take care of those around us, so our children can literally and figuratively build their homes, so that we may, someday, find ourselves in them. One year ago, Jesse Lewis went to school and entered his kindergarten classroom. According to his mother and friends, he was a happy six year old who loved life and had a radiant smile. He loved horseback riding. Following the events that took place on December 14, 2012, Jesse's mother left the school and went to her mother's house. While she gathered her thoughts, she noticed her son's handwriting on a chalkboard. The chalkboard read "Nurturing, Healing, Love.﻿" These words, scribbled on a chalkboard in a six year old's handwriting, became the inspiration for Scarlett Lewis to write a book titled, "Nurturing, Healing, Love: A Mother's Journey of Hope and Forgiveness." 100% of the proceeds from sales of this book will be donated to the Jesse Lewis Choose Love Foundation. While the nation remembers Sandy Hook Elementary School and the Newtown community this weekend, I want to take a moment to remember Jesse Lewis. I never had the privilege of meeting Jesse, but I can tell he was a student who loved school and was a great friend to his classmates. As an education blogger, I often write about the whole child, teaching students citizenship, and the importance of a positive school climate. The world will miss all that Jesse had to offer. However, in six short years, he was a positive light in his community and he continues to inspire teachers and administrators. We know that every school in the world has a Jesse who is creative, curious, passionate about learning, and wants to have a positive impact. We have to tap into each student's talents and passions and help them see how they can make a difference in the world. Through the book that Ms. Lewis wrote, Jesse continues to make a difference in the world. On this day, I choose to celebrate Jesse Lewis. From now on, December 14th will be a rememberance day for me. On behalf of the Hillsborough Elementary School (NC) staff, we remember Jesse Lewis, the teachers, and staff at Sandy Hook Elementary School. We remember this tragic day in our nation's history and we think of your school community often. We know the important role you have in preparing students for College and Career Readiness and we pause to remember the Sandy Hook students, staff, and families this weekend. I’ve been reading a lot about you lately. I’ve discovered that you were a kid that liked sports, spiky hair, and hamburgers with lots of ketchup. I know you loved school and math and your big sister, Anna. I know your teachers and friends and family thought you were pretty awesome. I think you’re pretty awesome too. I sit here this morning exploring a very liminal space with me on one side and you on the other. I’m sure it’s a place your parents and family and friends have been multiple times over the last year. I desperately want to know why even though I know in my heart that there is no answer to that question. So that leaves me wondering what next? For one thing, I found out that a playground is being built in your honor. A group of really cool people are building playgrounds for all of the children, one for each of you and your friends. Another cool thing is that the Newtown Football team is playing in honor of you and the other kids, even changing their colors to the Sandy Hook palette for the season. They’ve had a really good run this year, 12-1. You would have loved it. This weekend there will no doubt be many tributes to you and your classmates and I hope those will go on for years. I just wanted you to know that wherever your light is today, across that liminal space, people around the world are thinking about you and figuring out ways to keep your light shining bright for a long, long time to come. By the way, we’ve got a 6 year old in our house too...and she loves a lot of the same stuff you do, minus the spiky hair, and with much more of the ketchup. You’re an angel to us all. On the Facebook Remembrance page for Anne Marie Murphy, there is a picture that asks that we “Remember the Guardians.” Truly, Guardian is the best word to describe Anne Marie, as she was both a special education teacher and a hero. Heroes like Anne Marie are in classrooms across the world today, willing to do whatever it takes to protect the children in their charge. From what I can gather online about Anne Marie, she was an inspiration to all her knew her, particularly the students. One student in particular, Dylan Hockley, was found in her arms when first responders arrived. She liked walking and the arts. She was the devoted mother of four children. And she was a teacher. She was a teacher that gave her life to protect the children that she taught and loved. I care about her light continuing to shine in this world. I care about maintaining conversations of heroism about her and the other teachers at Sandy Hook Elementary. On this Sandy Hook Remembrance Day, I want all educators to think about their roles as heroes to the children they teach. Godspeed, Anne Marie. You are truly a guardian. WOW! It has been a year. I clearly recall walking into our building on Monday, December 17, 2012 and feeling overwhelmed with emotions as the building was swimming in green and white as students and teachers wore green in remembrance and honor of the victims in the Sandy Hook tragedy. So many hearts and souls grieved on this day in history, December 14, 2012. One year later and their spirits live on… As I reflect about such a tragic day in history when so many beautiful spirits transitioned from this physical realm, Albert Einstein’s thought resonates in my spirit…“Energy cannot be created or destroyed; it can only be changed from one form to another.” This statement is very appropriate and true as we remember and give tribute to the victims in the Sandy Hook tragedy. Though my heart aches for each and every soul affected by this tragedy, I would like to specifically address the beautiful, vibrant, loving, caring and talented Emilie Parker. My, my, my…her physical body was young in age, but her soul was rich with love. Emilie’s family, friends and supporters have done an extraordinary job capturing and sharing many reflective and informative moments over this past year. These published works have provided me with a very clear vision as to who Emilie was and the spirit that continues on making a difference in this world. You know, when you watch or read something, it often produces some type of feeling. As I focused on the information about Emilie, I felt the strength of her spirit picking up momentum through the many vessels created to carry her energy forward on this journey. She was created for a purpose and it is manifesting through the lives of many connected to her in spirit. The strength that radiates from Alissa (Emilie’s Mother), Robbie (Emilie’s Father), Madaline (Emilie’s Sister) and Samantha (Emilie’s Sister) is simply amazing and contagious. To know of the tragedy and circumstances, yet read and watch the communications from this family is a testament of who Emilie was in her physical vessel and is in spirit. Her family is moving forward in life and carrying on in the spirit of little Miss Emilie. In the video “Evil did not win”, Alissa (Emilie’s Mother) shared the things that Emilie loved. Emilie loved mornings, making art, being fancy, giving and seeing her baby sisters happy. Well, at the age of 6 and her passion and love for life, without knowing you could speculate that he was much older. That fact in itself is evidence that she was created for greatness. Alissa stated some very profound things learned from this tragedy. Please take a moment and reflect on the words she shared: grief, peace, patience, forgiveness, joy and love. I did, and all I could think about were the fruits of the spirit. Exactly…Emilie’s fruits are being manifested in the spirit for many although she is gone physically. What a blessing! Yes, she transitioned from this life by a horrendous crime, but I truly believe that God makes no mistakes. Her spirit and energy lives on and will make significant differences in the lives of many. We have a duty and responsibility to seek our purpose and be obedient to your calling as we remember and give tribute to these Angels. There are many options as several Sandy Hook Angels have organizations in their honor to go towards philanthropic needs that embody their spirits. Emlie’s family also leads 2 additional projects: Emilie Parker Art Connection and Safe and Sound Schools. I am pretty sure you have had a great year given where you are and all, but I know it’s not quite where anyone thought you would be at this time of your life. I hope you were able to take in a few baseball games this year as I know you are a baseball fan like I am. I didn’t go to any games this season but watched several on the Internet, but we both know that’s not the same. But, it’s really not a big deal as I am pretty lucky to have such little things to trouble me. I can’t imagine what your family feels when they hear a phrase like “that’s not the same.” I can’t imagine what is the same for them. I think about you and your classmates often. I visit a lot of schools in my job and some times when I pull in to a parking lot and look at the school, I wonder if everyone is safe inside. I wonder if there is a kid in the school who is sad or hurt beyond what I can imagine and needs help he isn’t getting. I wonder a lot of things but mostly I wonder what I can do to make sure what happened to you doesn’t happen to another kid. I know it has been just about a year since your death and I just want you to know that I am thinking about you, your family, your classmates and their families, and your community. I hope that I and other people like me come to understand what we need to do differently to make sure kids like you don’t have to go through what you did. Take care of yourself and enjoy the beautiful winter views! Jessica's legacy continues to shine bright through people, places, and communications. As a former Newtown resident and teacher, my husband and I had the privilege to teach her uncle, Brian Rekos, whose twinkle and smile remind me of this sweet girl. The hope, love, and generosity she shared was remarkable for her young years and captivated all that knew her — individuals, horses, whales. How can you be connected to a six year old girl that you never met?﻿ When you visit the playground built in her honor in Fairfield, CT, you see her personality embrace all who come here to play, to remember, and to enjoy the precious present moments. What I know to be true from personal heartaches and devastation is to appreciate this moment even in the darkest hour. Newtown residents continue to lead by example by honoring the legacy of every child through spaces that engender love and and laughter. I am Newtown. Lauren Rousseau represents every new, young teachers’ hopes and dreams. Actually she represents every teachers’ hopes and dreams. We want to inspire and to motivate. We want to teach and to make a difference. She was hired as a long-term substitute teacher at Sandy Hook Elementary just a couple of months before she was taken away from her loved-ones. She made a difference though. Her life is imprinted on every teacher’s heart. Each day they wake up, go to school, and teach their students. They are doing it for what she lived and dreamed of...a better future for our children. I thank her for for doing what she did - the unimaginable. She protected lives. She saved lives but gave her own. She did something that can never be forgotten; she went to war and came home a hero...even though she never signed up for that. She wasn’t only a teacher. She was a daughter and a sister. A girlfriend and a friend. A neighbor and a passerby. She meant something to someone. She means something to everyone. She will always mean something. Her life was precious. She was and is still loved. She continues to make a difference: to those who knew her, to those who have come to know her over this past year, to those who are inspired by the difference she made. Including me. Where they huddle and they pray. They lead us through the storm. No time to run for cover. From the barrel of the beast. From all the angels born. As the brightest of the bright. To which I myself aspire. Your bright light will always shine. The Oxford dictionary defines tragedy as “an event causing great suffering, destruction, and distress”. Baby Boomers discuss where they were when President John F. Kennedy was assassinated on November 22, 1963. Millennials talk about where they were when the Twin Towers were hit on September 11, 2001. These tragic events have shaped our country into what it is today. December 14, 2012 is now etched in the minds of every generation. One year later, the Sandy Hook School tragedy is still looming as one of the darkest days in American history. I remember being outside during recess when my colleagues and I first learned about the tragic event. It was a surreal and saddening moment. As I watched 60 five-year olds play joyfully on the playground, I struggled to grasp the horrific events that happened just 360 miles away. As an educator, my number one priority is to keep my students safe. Every school across this great nation as this same goal. Sandy Hook Elementary was no different. Neither was Victoria Soto. I didn’t know who Victoria was before December 14, 2012. After December 14, 2012, her heroic act will forever touch my heart. Ben Harper wrote a beautiful song titled, I Shall Not Walk Alone. I can’t listen to the song and not think of Victoria and all those lost on that tragic day. Victoria’s memory should be carried on by all educators. Most of us say we would do anything for our students. Victoria did. She gave her life. In return, she should be honored and revered for her sacrifice. Furthermore, she, the teacher, taught us all a lesson. That love is real. Thank you. I saw your video on Katie Couric and I was moved by your strength. Of course my heart aches for you and the loss of your dear son, Ben, but I can’t help but feel empowered by you at the same time. You said that you wanted us, as parents, to imagine what you went through, are going through, and will go through. I can imagine it. I don’t want to. I hate it. But I will, for you and Ben and the others. I said those same words one time to a colleague whose stepson had just died of a brain tumor. “I can’t imagine what you are going through.” A few months later my own daughter, 3 years old at the time, was diagnosed with a brain tumor. I vowed that day to never utter those words again and I haven’t since. But until I saw you on Katie Couric saying that you wanted us to imagine what happened as if it happened to us, I never thought about those words being powerful in another way...a positive way. I don’t know you and never met Ben but I can picture him clearly after you shared his nickname, Crash. I’m sure it is quiet now in your house if he and his brother were the equivalent to 4 kids. But, what fun memories you must have. Try to enjoy the quiet and think about him. I know you can still smile when you think about him and you should. He plowed through life full force living each day to his fullest and even on those days when you think you can’t, do it for him and for your other son. Do it for each other. Take each day as it comes. Even if he can’t be with you physically, he will always be with you in your minds and hearts and that is a gift that can never be taken from you. My thoughts are with you. You are not alone. I never met Allison Wyatt, but after seeing her endearing photo on her Facebook page dedication I feel that I had a glimpse of an angel. Her smile is easy and soft and she is comfortable as she looks at the camera. Allison was lovely. I flashed on what her parents and family must be feeling a year later with the sincere hope that they are finding some peace. The Sandy Hook tragedy is still palpable. Fathoming the events is simply not fully possible. 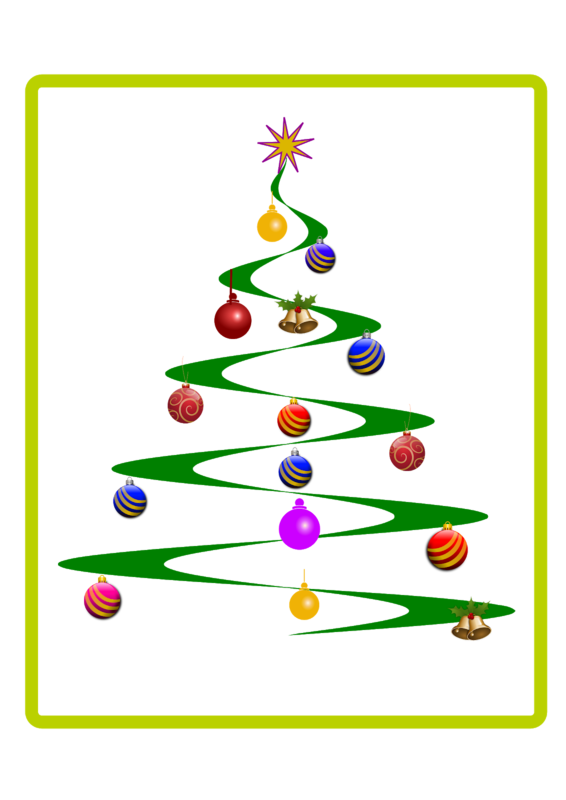 Another entry for our Sandy Hook Remembrance Blogtacular was submitted by Tom Adams, principal of Newfane Middle School in Western NY on his school’s blog. His thoughtful post, entitled Heroism - From Unspeakable Tragedy to Inexplicable Hope, is a tribute to all of the students and staff and reminder that teachers are heroes everyday. What we need to do now is remember. We need to keep these lights alive forever. We have to continue to be vigilant for our children and our schools. I encourage you all to read the blog posts that are contained here. These wonderful colleagues have captured the essence of the students and staff at Sandy Hook and have done their parts to keep these lights shining brightly. I’d like to say one more time how much I appreciate them giving their time and talent to this project and I am humbled by their eloquent words. Many blessings to all of the families involved. Holiday Teacher Efficacy Campaign and Book Giveaway! 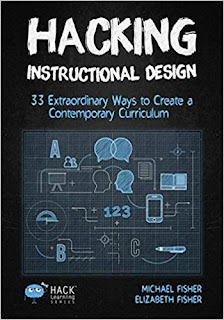 Welcome to a Holiday opportunity to provide teachers with instructional design materials so that they can be the most engaging and contemporary teachers possible. 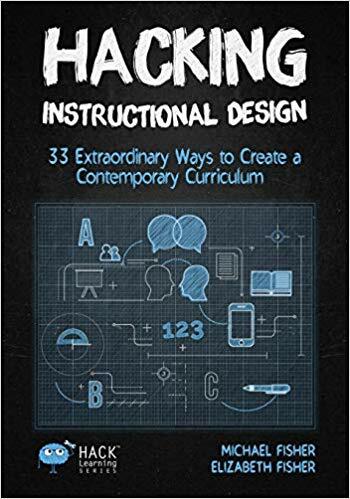 Up to TWENTY teachers will receive a free copy of the Hack Learning Book: HACKING INSTRUCTIONAL DESIGN: 33 EXTRAORDINARY WAYS TO CREATE A CONTEMPORARY CURRICULUM and all educators that submit an entry will get a digital bonus book with instructional design templates for organizing learning experiences. All participants will be invited to share their learning with their colleagues and encourage contemporary learning strategies for all of their students! 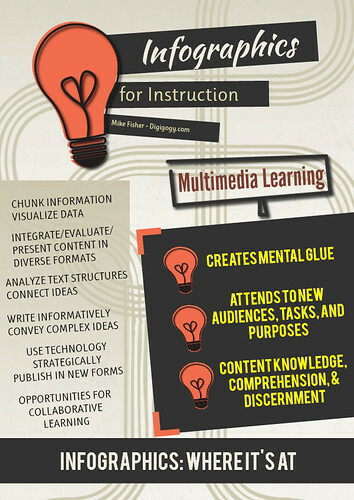 Educators are invited to share their best ideas with a community of learners. Please note that this information will be seen by all who participate for two reasons: 1) So that everyone can benefit from the ideas of others, and 2) so that participants can network / contact each other for questions or ideas. Only the educators that participate in this campaign will have access to this document. It will not be openly published on the web. Additionally, email addresses will NOT be shared with all participants so please be sure and include your Twitter Handle if you have one! Thank you to everyone who volunteers their information and to all educators who work with children!